Specialising in all manner of property design, redesign and everything in between, Callender Howorth offers an unparalleled service in the Kensington area of London. With a quality work that is nothing short of exceptional, Callender Howorth’s Kensington interior architects consistently exceed the expectations of its clients with a great deal of experience working in Kensington, Knightsbridge and South Kensinton. Please contact us to further discuss your design requirements. One of only a handful of elegant locations throughout the country that sports royal patronage in its title, the Royal Borough of Kensington is a regal setting, both by name and appearance. 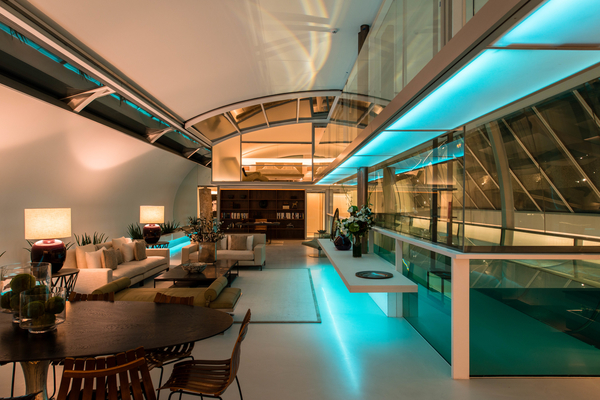 The area is home to some of the most exclusive addresses in London, with the broad streets and its rows of gleaming private residences making the iconic area a favourite with some of the capital’s best interior architects. As a leading Kensington interior architecture practice, Callender Howorth recently undertook a large-scale renovation in Kensington, transforming a dilapidated 5-storey home into a luxury Kensington House for one very happy family. As part of the project, the team completely redesigned the configuration of the home, to maximise space and optimise the flow from room to room. Unique and bespoke pieces of furniture and lighting were selected to complement the stunningly preserved original period features of the building. Callender Howorth’s Kensington interior architects commissioned a unique chandelier to form the central feature on the main landing, perfectly complementing the bespoke wrought-iron staircase. Kensington is home to a number of fine iconic buildings and some of the greatest design creations the country has ever seen. Although the facades of the residential rows may look identical, they belie magnificent interiors, which have, in many cases, been sculpted by experienced Kensington interior architects. Many residents of Kensington choose to complement their Victorian-period properties with contemporary architecture, which blends the well-appointed proportions of yesteryear with the stylish design of today. Kensington Gardens lies at the heart of the borough and adjoins the magnificent Hyde Park to make one of the most beautiful and historically significant green spaces in the city. It is home to the peaceful Italian Gardens, Peter Pan statue, the Speke Monument, the distinctive Albert Memorial and the Serpentine Gallery. Perhaps it is most famous for Kensington Palace, the former home of Princess Diana which was designed by Christopher Wren and is currently the official residence of the Duke and Duchess of Cambridge. The architectural styles of this affluent corner of the capital are thoroughly European. The Royal Hospital in Chelsea is classical in style having originally been designed by Sir Christopher Wren and later worked on by Sir John Soane. Apsley House, located on Hyde Park Corner, was owned by the Dukes of Wellington and is perhaps the only preserved example of an English aristocratic town house from the neoclassical period and an exhibit of early Kensington interior architecture. Michelin House is an outstanding example of Art Nouveau and Art Deco as the first permanent UK headquarters of the famous tyre company. Is Kensington close to museums and exhibitions? The area is undoubtedly home to the most famous museums in England. Lining a magnificent stretch of the River Thames, Kensington is famous for the Natural History Museum, the Science Museum, the Victoria and Albert Museum and the Saatchi Gallery – renowned institutions that have sculpted British culture over the years. The visual arts and sciences are not the only subjects accounted for; music is also well represented with the internationally renowned Royal Albert Hall and the Royal College of Music. The outside natural delights of Kensington Gardens are also points of cultural interest with a tantalising array of monuments. Kensington is a place where residents and visitors will always be able to eat well. From fine dining at Michelin-starred Kensington restaurant Kitchen W8 to experimental a la carte sushi at Yashin, you will find something to delight your senses. The Kensington interior architecture is quintessentially British, with dark wooden panelling, intricately designed carpets and atmospheric lighting. The locality also offers excellent shopping facilities with famous department store Harrods just down the road in the upmarket commercial district of Knightsbridge. Why do you want to live in Kensington? Which famous people live there? Kensington is a very popular area to raise children, since it not only has a range of international schools, but it also has plenty of green space and museums. There is a choice of educational institutions for all ages and specialities, including the Roman Catholic St Charles School, Imperial College, the Institute Francais and the the Royal College of Music. The area attracts a mix of affluent people working in the arts and finance sectors as well as a number of celebrities such as Stella McCartney, Bernie Ecclestone and Rowan Atkinson. Sir Richard Branson has rented the famous Kensington Roof Gardens since 1981 as part of his Virgin Hotel Group Ltd. Kensington is also home to entrepreneurs and businessmen Charles Dunstone, James Dyson, John Sainsbury, Philippe Foriel-Destezet and hotelier Sir Rocco Forte. 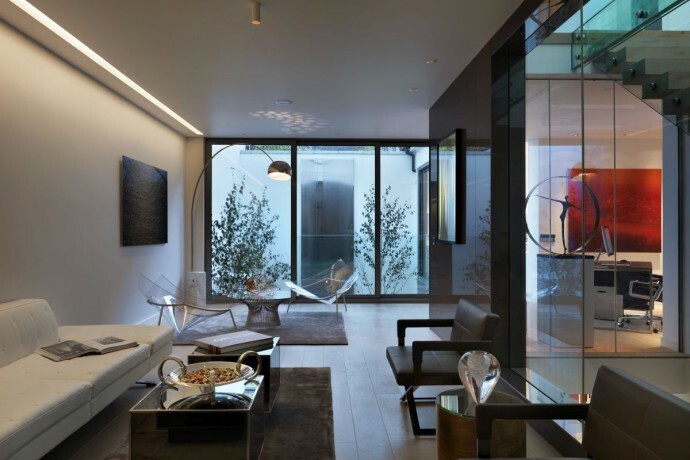 A number of billionaire heirs like Sir Evelyn de Rothschild, Bruno Schroeder, Ben Goldsmith and Sir Adrian Swire have also invested in properties in this tasteful part of the city, enlisting the help of Kensington interior architects to realise their vision. Please contact a member of the Callender Howorth team to discuss your interior architectural needs. A fun team of Kensington interior architects that loves what we do!